Install ReTrust.Me. Don't type in an admin password, in order to select certificate authentication. Select RSA cryptosystem (with or without HSM). URL will be https:// followed by the DNS FQDN name of your PKI and by "/crmp"
Then, for each user, insert a blank card/token (or recycle one using the "Format" button), fill in CN with his name, and Mail/UPN with the user's MSUPN (generally windowslogin@domain), have the user fill in a PIN, and press "Enroll"
VSC Note: for VSC enrollment, activate the Roaming Profile for the operator, and on each machine launch: "tpmvscmgr.exe create /AdminKey PROMPT /generate". When prompted, enter 000000000000000000000000000000000000000000000000 . 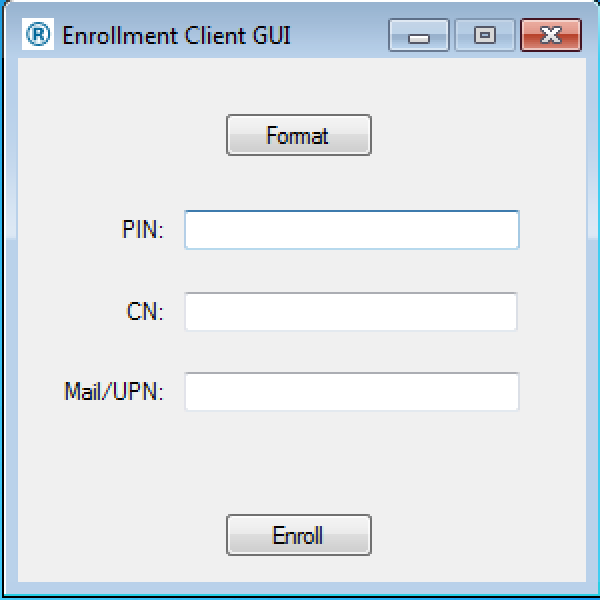 Then perform the enrollment as above. Press control-alt-delete on an active session. Click on “Change a password”. Click on “Other Credentials”, and select the SmartCard reader. 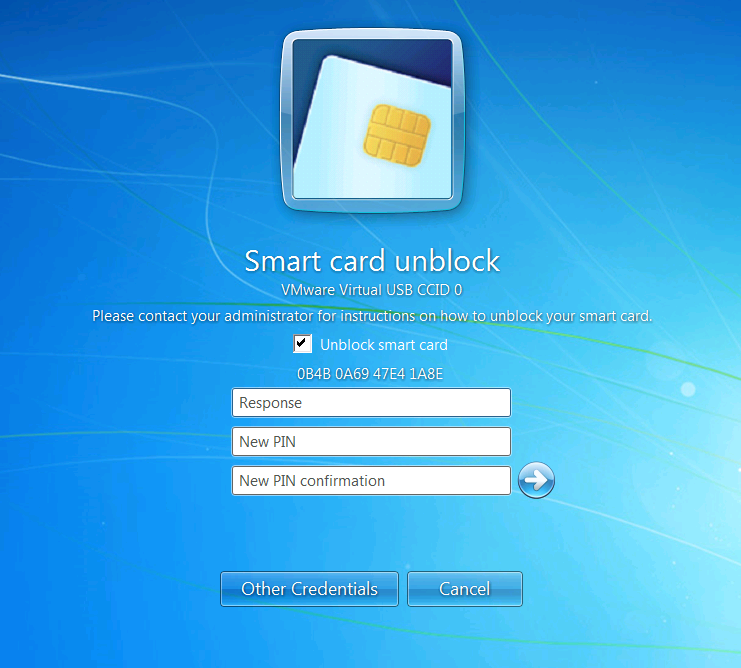 Check the box "unblock smart card"
Fill in the response and the new PIN, and validate: the SmartCard is unblocked!